Sing, dance, and have fun! It may come as a surprise, but you are your child's most important music teacher right now. And it doesn't matter whether you think of yourself a great singer or dancer. Young children develop dispositions for certain behaviors, including learning to love music, by observing and imitating their loved ones. Simply by participating enthusiastically during class and playing with the ideas at home, you'll give your children the modeling they need to learn to love to make music. Please wait to socialize or use your phone until after class. Help us create a music-only environment! 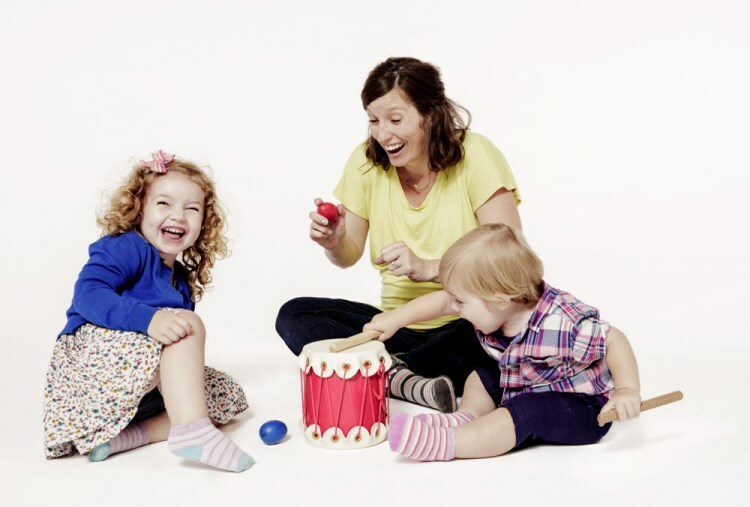 At Tiny Toes Music, children are never required to sit in the circle or expected to conform to an adult's idea of participation. We know that children learn differently from adults. They learn instinctively and constantly, through observation, interactions with adults and other children, and through imitation, play, and, especially, movement. 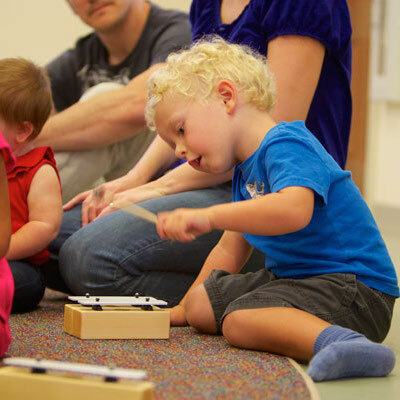 One hallmark of Music Together® is the insight that children will natually develop music ability simply when they are immersed in a community of families all making music. Children's responses depend on their most dominant learning style and temperament, as well as their age and developmental level. Some might folllow the teacher right away. Many will simply want to watch and absorb, particularly in the first few weeks of class. Some might crawl or toddle around, while others are stimulated by the music and respond more actively by running, jumping, or dancing. All are natural responses to the new, musically rich environment. Throughout the semester, your teacher will help you tune in to how your child learns best so you can support their music development in class and at home. Be sure to ask questions! You are the most important role model for your child. Relax and enjoy the class and your child, regardless of their reaction. When you are enjoying yourself, your child will soon wish to share that enjoyment with you. A different song collection is used each semester- there are nine total- so when you re-register, you can look forward to expanding your repertoire with a variety of new songs and chants. The Music Together curriculum is designed so that families can continue classes for three years before revisiting a song collection. In three years, you and your family will learn over 375 songs! Better yet, when you continue in the program beyond three years, your child will repeat song collections and experience the music and respond to it in brand new ways. How can I keep my child focused during class? Make it a special time for them to be sitting in your lap with you. Hold them securely and give lots of hugs and encouragement. Sing along so they can hear you. Shocking as it may seem, they believe you are a wonderful singer and want to hear your voice. Interact with the children across the circle too! They are looking at all of us, and we can create strong visuals by playing to the beat and being animated in our faces. Sing the songs at home so they are ready for class. Listen to the CD and look in the songbook for activity ideas for each song. Talk with your child casually about class so they know what to expect. You can even create a circle of stuffed animals and hold practice classes at home! If your child is tactile, bring a small toy to class as a focus point. Many children find a teeny security blanket to be very helpful in new situations. If you feel it's right for your child in that moment, take her in the hallway until she calms down. Every child and every situation is different; this may or may not work for your child and your parenting style. Have fun! Fun is contagious! What behaviors can I expect from my child? Every child is different. You will see different behaviors according to their age, personality, surroundings, and comfort level. As adults, our behavior is different at home than in a business meeting or at a sporting event or party. Our children are the same, picking up on social clues, and changing their behavior depending on the situation. However, there are many age-appropriate behaviors exhibited by developing children. Watch the children in class next week, and you'll be surprised at how many you see in just 45 minutes! Why so much singing and so little talking? spending quality time with their parent. What a precious gift to give: focusing on just your child. Tiny Toes Music classes create a unique singing, moving, instrument-playing environment that gives us an opportunity to communicate in new ways. Grownups sing, play, listen, move, dance, observe, and even play instruments with focused enjoyment. Our classes are so much fun because caregivers’ actively participate in music and movement activities. While it is tempting to socialize during class, research shows when caregivers genuinely enjoy and participate in an activity, the children, who want to be like adults, will too. Why Tiny Toes Music? Families come to have fun, to meet new people, to give children opportunities to socialize, to spend time as a family, to learn songs and activities to do at home, and to plant the seeds for a love of music and music making. When you dance, sing, or play an instrument in class, your child sees you love to make music. Magical things happens when we build community through live music making. Enhance your child's experience in class by remembering to sing, sing, sing. Your active participation is key to your child's learning and growing musically, as children naturally respond to seeing and hearing you follow the teacher! Support and contribute to the creation of a music only environment for all children to absorb. Some children will quietly observe and others will actively explore. While we expect and embrace wandering toddlers, there maybe times you deem it necessary to intervene. Resist the urge to give verbal directions and avoid calling across the room to your child. Instead, redirect them physically back to you and the circle. In the meantime, continue your own musical involvement. We only have 45 minutes to give this musical gift to our children, and it is important, and fun! Relax, dance, and sing! Music is a powerful force in early childhood. Infants are sensory sponges; their attention is constantly attuned to the sounds around them. Hearing begins in utero by the fourth month, and most children have good hearing by the time they are born. In a recent study, infants were able to pick out slight changes in melodies at the age of only one or two months! While six-month olds may not be ready for math, they are acutely attentive and responsive to musical sounds. That may be why music is the timeless cure to soothe a crying child. In class, infants enjoy feeling the rhythm of the music through their parent’s body as we dance and move to the beat. They learn by watching Dad clap and love feeling the vibrating drum as Mom taps it. 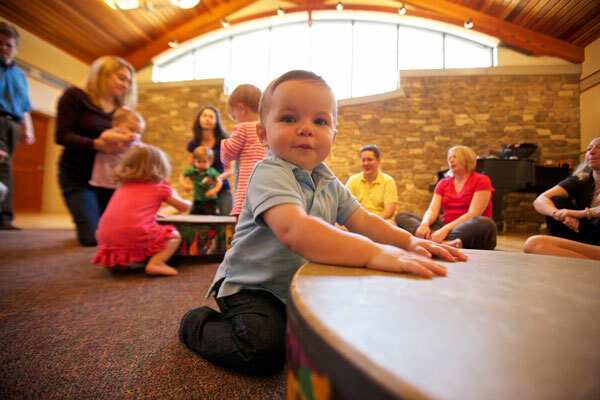 While infants love exploring the instruments with their mouths, they eventually realize the instruments are more fun to play than to eat, and begin to experiment with the sounds they can make. Infants are obviously stimulated by the various musical activities in class. Children between birth and age four are most open to tonal and rhythmic learning; they learn music most efficiently when they are young. You will soon notice in class that the learning is revealed between songs. 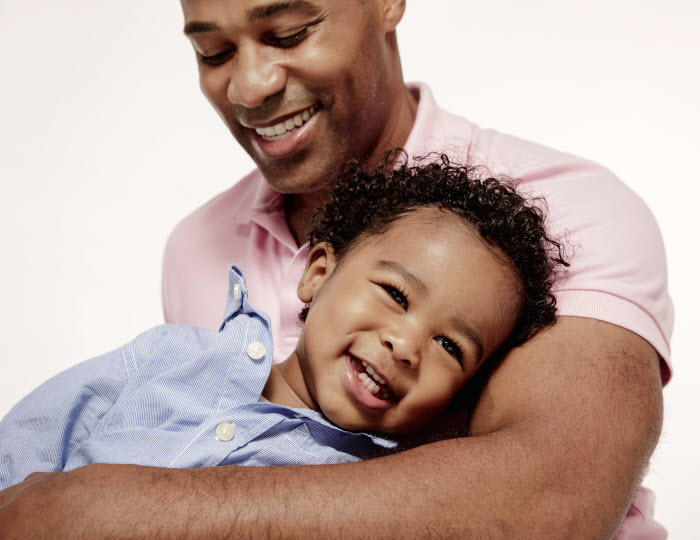 In this silence, babies and toddlers vocalize with their extended “ahhs” or “bahbahbahs.” These are more than random sounds! It is their time to sing. Their response is purposeful--they wait for the silence and then vocalize. It is as if they hear the music, “think” about what they heard, and then try out their own voices. When you lay your baby on the floor facing you or hold her tight in your arms, she has instant contact with you, her favorite musician. As you engage your baby in eye contact and sing to her, you will see her face light up. She may start kicking her feet. She may “coo” back in response to your singing. Having mom, dad, grandma, or any beloved caregiver make music and sing brings so much stimulation and joy. How can you ever be too young for that?